He was born on 26 April 1947 in Malaysia. Graduated in 1973 with a Bachelor of Architecture from the University of Singapore. As a Company Director, his responsibilities lie as the Director in charge of varying projects ranging from health care facilities, hotel, commercial, and residential development. His specialist area however, focuses on hotel development and projects to his credit include the Marco Polo Hotel extension, Ming Court Hotel in Kuala Lumpar and Holiday Inn Crowne Plaza in Xiamen, China. 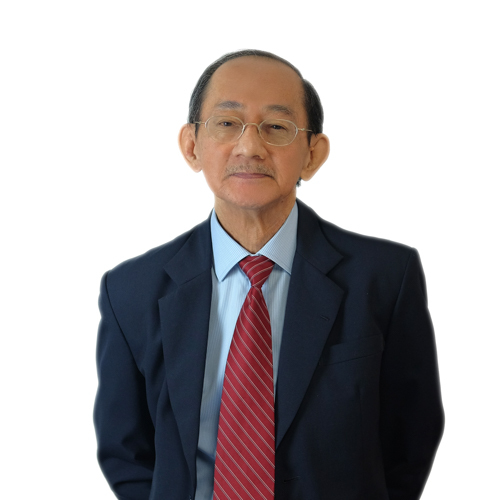 He has had a long association with the Singapore Institute of Architects as a representative for various Government Departments, involving the process of Governmental approvals for building projects, and has kept the current requirements of the Government constantly in view. During the eighties he held active positions on numerous boards and committees. These included Chairman of the SISIR Technical Committee, Council Member of the SIA, Member of the Practise Committee, and later, a panel member on the Investigation Committee of the Board of Architects. In 1982 he was a Committee Member of Energy Conservation and a Member of the Singapore Building Construction Safety and Health Advisory Committee. His knowledge of building codes extended to his appointment to the position of Chairman of Regulations, Codes and Standards Committee and Member of Standing Committee of the Fire Safety Bureau, and Representative for the SIA on Plot Ratio calculation. In 1990, he was Chairman of Examiners for Professional Practice Examinations and continues to maintain an active role in that area today.